The silly season is around the corner and what better time to take a break from alcohol than the month of October (AKA Ocsober)! Take the Dry Space online challenge (it’s free yo!) where you’ll join thousands of others around the world in taking a break from alcohol for the month of October! Learn how to enjoy life to its fullest without alcohol, relinquish your hangover-free weekends, take back control of your health and watch how much money you can save in the process! Daily online support, messages and posts to keep you on track! Relevant educational resources, links, articles and videos to keep you informed! 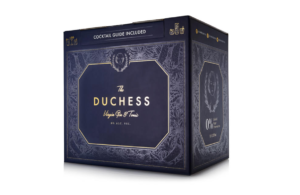 Also 1 lucky member will win a gorgeous hamper from The Duchess Virgin Gin and Tonic (prize available only to members who reside in South Africa).